Easter, a DT card for HMFMC. NOTE that ALL of our challenges also have the alternate option of *ANYTHING GOES* too! super cute image called 'Don't Crack Under Pressure'. The papers are 'Birthday Wishes' from Echo Park. that I do not remember where I bought it! I've used this sketch from Creative Inspirations. Sponsor for this challenge is Pink Gem Designs. til min svoger, men nu var det på tide det kom på bloggen. Overskæggene er lavet med en die fra Memory Box og papiret er fra Swagger. Endnu et overskæg på bagsiden. D for Don't Overdo It, a DT card for ABC Christmas Challenge. 'D' for DON'T OVERDO IT! We are keeping things clean and simple this fortnight. Winner will receive two free digis of their choice from Wendy’s Etsy shop. from Maja Design for my card this week. The only embellishment is a glitter star. to check out the fabulous DT inspiration and join in with the D challenge. Rain or Shine, a DT card for HM&FMC! or if it's a 'Anything Goes' card. I wonder if you can call this 'Paper Rain'? This is one of my new images 'Bear-eid in Paperwork' its called. my lovely teamies I found it in the end! The papers are from LOTV, all edges are distressed with Vintage Photo. The paper clips is from Basic Grey- it fits very well to the image. Send with love, a DT card for HM&F. 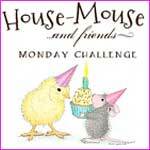 But remember you must use a House Mouse Design on your card or project. operation last week and she need some encouragement. is one of them. 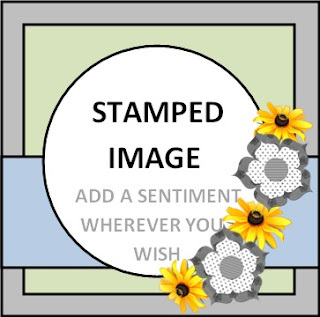 Perfect for a card send with love! 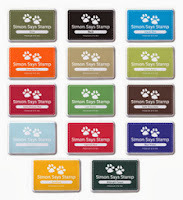 The design paper is from Maja Design, the small tag sentiments are from LOTV. The beautiful rose ribbon is a gift from a lovely teamie, thanks sweetie! 'A2 Scalloped Borders One' it's called. I've used this sketch from Stempeleinmaleins for my card. show us some love and join the fun! CI- # 344 Hugs & Kisses! 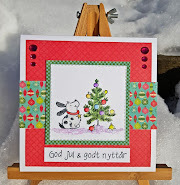 C for Cute Critters, a DT card for ABC Christmas Challenge. is made with a die from Marianne Design. I've used this sketch from Your Next Stamp. Love is all around, a DT card for HM&FMC. but a birthday card for someone send with loving wishes. The image was one of the very first - I think 'The First'- HM stamps I bought. I wasn't sure if I liked those small mice or not! together with my 'Hand made by' stamp. I hope you will join in the 'Love is all around' challenge.